Find beauty in the Fall! I am so proud of my very first garden. Is so beautiful yet simple. Flowers feed my soul and nourish my spirit. Essential garden care for fall is a must. Protecting vulnerable plants with mulching (as you can see on this picture) not only helps protects their roots, but allows them to survive frost damage. Mulch helps maintain a more even temperature and also raises the freeze line, which encourages earthworms to work closer to the surface of the soil. 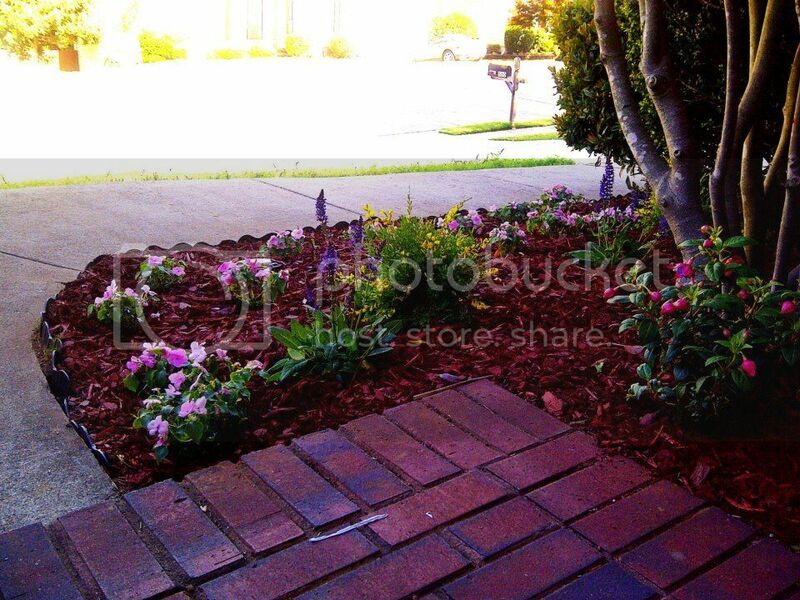 Scotts® Nature Scapes® Advanced, Sierra Red has always been my mulch of choice. It blends perfectly with the Georgia red clay soil. With New Scotts® Nature Scapes® Advanced Color Enhanced Mulch you can use up to 30% less water than with ordinary mulches while still getting the year long color (guaranteed!) and the natural weed prevention you have come to trust. • Miracle-Gro® Garden Soil for Flowers & Vegetables is specially formulaed for annuals, perennials, and vegetables. It improves existing soil to build strong roots and feeds up to 3 months with Miracle-Gro® Continuous Release Plant Food. • Miracle-Gro® LiquaFeed®: Makes feeding as easy as watering. Feeds plants through leaves and roots and can be use with all type of flowers, vegetables, trees and shrubs. Also, be sure to check out all that Miracle-Gro has to offer by checking out the Miracle-Gro Facebook page. Get tips and ideas on how to protect your garden throughout the fall months!